Our goal is total customer satisfaction! Avalon Luxury Pontoons are truly the gold standard when it comes to pontoon boats - that is why they are the only boats we sell. We also only sell Yamaha Marine Series Motors because they perform reliably and require only basic routine maintenance to keep them running in top notch shape! We have a fleet of Wildwood and Wilderness RV that we rent in both Myrtle Beach, SC and in the the Florida Keys. Our units are top notch and our service is unparalled. We offer storage for both boats and RVs on our 6+ acre property. We also have used RVs for sale from time to time. Doyce also offers a variety of boat and RV products and accesories for sale. It was great to have the camper delivered and set up at our site instead of having to tow our camper through the mountains and having to set it all up ourselves late at night! The camper was clean and perfect for our family and our budget! See you next year. We loved this year's camper and your extra added attention to detail. Gary is still trying to take credit for the flowers but we all know they were from you and the folks at Coastline. Thanks for considering us when that upgraded camper came available. Here at Coastline RV and Marine, it doesn't matter to us if you are buying a brand new boat, renting a camper for your vacation or simply storing an RV or boat with us - we want to make sure that we not only meet but exceed your expectations. Happy customers are the key to our sucess! We first opened our doors on a small lot in Garden City in 1996. At that time all we provided was RV rentals. Four years later in 2000, due to our overwhelming sucess from repeat customers our growth led us to move to a larger facility. We are now located on 6+ acres located right of US 17 Business in Murrells Inlet, SC. Doyce and Pati Heinzman, the owners, have built the business from the ground up. Our loyal and satisfied customer base has grown and allowed us to expand our offerings. On the RV side of the business, we offer vacation rentals of new and used Wildwood and Wilderness Travel trailers. We make your campiung vacation just what it should be - a relaxing enjoyable vacation. When you rent from Coastline we will assist you with camping reservations at one of the many local campgrounds here along the Grand Strand, we will deliver and setup your camper and have it ready to go when you arrive for your vacation - so you get to start your vacation the minute you arrive. We can also assist you with planning any other activities you may want to enjoy while your are here, like golf outings, sight seeing, fishing trips...just about anything the area has to offer. In 2010 we expanded our RV Rental business to include the stunning Gold Coast of the Florida Keys. We offer seasonal rentals in Floria Keys in the months of December through March. If old man winter is not your freind - then book yourself a rental RV and stay on a beuatiful waterfront campsite in the Florida Keys! In 2009 Doyce decide to expand from just the RV business into the Marine Sales business. We are proud to be an authorized Avalon Pontoon Boat Dealer as well as an authorized Yamaha Marine Engine dealer. We selected both Avalon and Yamaha as they are best in class and cosnistently deliver the quality and reliabilty that our customers expect. We have a 10,000 square foot showroom with most of the Avalon Pontoon models on display. Why not come on out and find your dream boat! With our spacious 6+ acre property we also offer boat and RV storage. If you are a seasonal vistor who need s a place to store your boat or RV or even if your a local resident who just wants to "get it out of the yard" why not store it at Coastline RV and Marine. Lastly, we do have some RVs for sale. We will sell units that we retire from our rental fleet from time to time, also we do take RVs in excellent condition for sale on a consignment basis. The Grand Strand has just about everything a vacationing couple or family could want. Below are some highlights, but there is simply too much to list it all. Feel free to ask any of our staff for suggestions or assistance to make your vacation more enjoyable!. 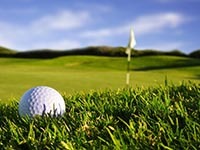 The Grand Strand boasts over 90 golf courses making Myrtle Beach the Golf Capital of the World. Golf here is afforable and accessable, making it ideal for buddy trips of all sizes. Myrtle Beach also happens to be the Mini Golf Capital of The World boasting over 50 coures up and down the strand. Should you want to include a round of golf or a mutli-course package as part of your vacation, our staff will be happy to assist you. The is no lack of family attractions here. 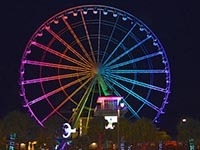 We have the SkyWheel, several water parks, min golf, Ripley's Aquarium, Ripley's Belive It or Not!, Ripley's Haunted House, Wonderworks, Alligator Adventure, The Wacatee Zoo, Jet Skiing, Parasailing, Fishing, Scuba Diving, the list goes on and on! We also have several production shows like Medevial Times, Pirates Voyage, One! and more. Once again if you need assistance planning or booking any activities, our staff will be happy to assist! Copyright 2016.Coastline RV and Marine, INC. All Rights Reserved.